Aviation Updates Philippines - Leading low-cost airline, Cebu Pacific Air, plans to mount more flights from the Philippines' secondary cities with the arrival of new ATR 72-600 aircraft in 2016. According to Lance Gokongwei, "Our plan is to set up a lot of additional hubs outside Metro Manila. We're gonna [going to] station a lot of ATRs in Cebu, Davao, Iloilo and Caticlan so that we can fly direct and connect cities together without necessarily going to hubs like Manila or Cebu," Cebu Pacific Air Chief Executive Officer, Lance Gokongwei said in a report. Passengers will be able to benefit the planned new flights from other international airports in the Philippines as they will avoid waiting in long lines and traffic at Manila or Mactan-Cebu. "I think the big market is really connecting these communities or secondary cities directly with the turboprop aircraft, which is a prudent aircraft," Gokongwei said. An ATR 72-600 aircraft is capable of carrying about 78 passengers and land at airports with challenging and short runways. 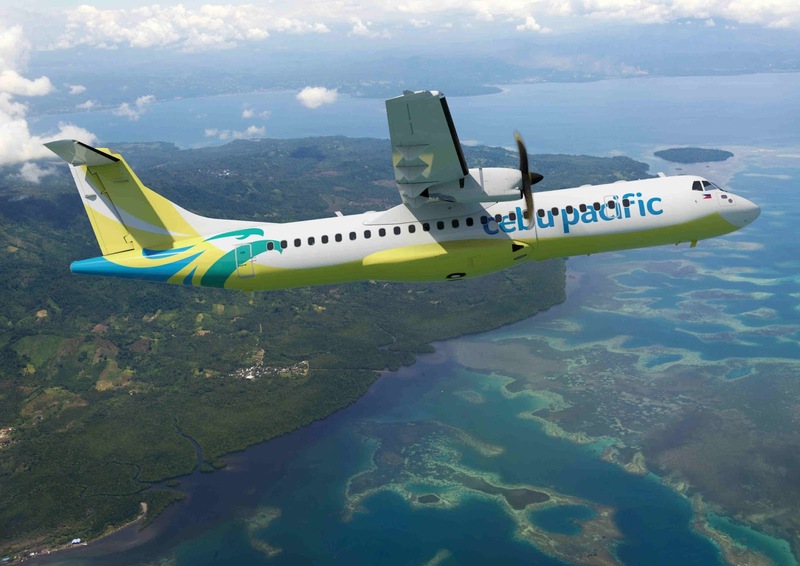 Cebu Pacific, the launch customer of the new ATR 72 high density Armonia cabin, recently ordered 16 ATR 72-600 aircraft with an option of buying 10 more during the Paris Air Show last week. The new aircraft will replace 8 ATR 72-500 planes currently being used by the Cebu Pacific for inter-island flights. The ATR 72-600 ordered by Cebu Pacific will be equipped, for the first time, with the high density Armonia cabin, the widest cabin in the turboprop market. It will be equipped with 78 slim-line seats and wider overhead bins with 30% more stowage space. These new technological innovations further enhance space and comfort for passengers, according to Cebu Pacific. Cebu Pacific Air, Inc. currently operates 10 Airbus A319-100, 31 Airbus A320-200, 6 Airbus A330-300, and 8 ATR 72-500 aircraft. Deliveries between 2015 and 2021 comprise of 8 Airbus A320, 30 Airbus A321neo, and 16 ATR 72-600.